The area around our eyes is much more delicate than the skin found on the rest of our face and other parts of our body. The skin in this particular area is also much thinner than the other skin. These attributes also make them more prone to develop visible aging signs, such as the dreaded “crow’s feet”, as well as fine lines and puffiness. These aren’t the only concerns that people have with the particular area on their face, as stress and sleep deprivation can cause dark circles to develop in this area. All of these features can be unpleasant and cause havoc on a person’s self-esteem. It causes their body image to be implicated in a very bad way, and soon the person can’t even look at themselves in the mirror without judgment. These symptoms around the eyes can make a person feel more self-conscious – for example, if they step into an important meeting, they may not feel comfortable looking the other attendants in the eye due to how they feel about themselves. Living with these particular symptoms is not necessary, and many options are available to help reduce the visible appearance of aging – not only on the face but also around the eyes. A visit to a dermatologist can cost thousands of dollars, and the treatment they recommend can further increase the bill. This is not achievable for the many people. Still, alternative options that are more affordable is available. 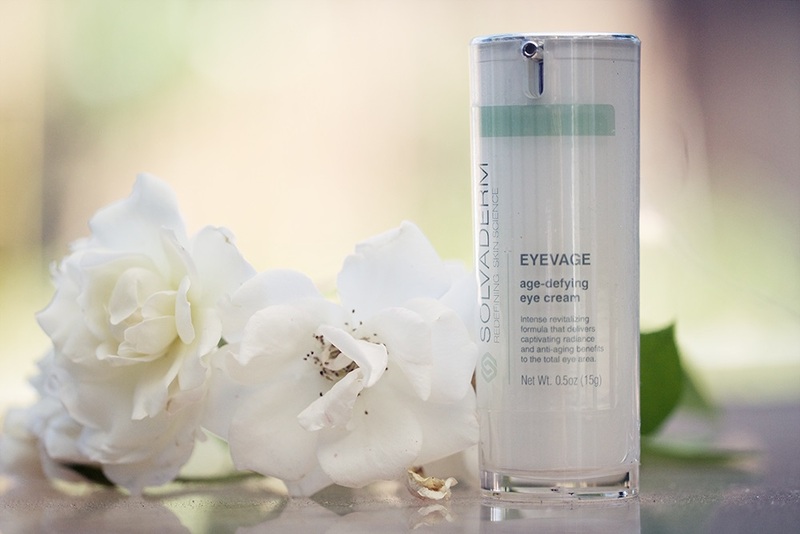 Eyevage by Solvaderm is a particularly interesting product that offers a professional strength formula, developed by dermatologists, to assist with rejuvenating the skin that surrounds the eyes. With thousands of different eye serums on the market, you may be faced with a difficult feat of choosing the most appropriate product that is right for you. We are here to tell you that Solvaderm’s Eyevage is perfect for anyone – even those with sensitive skin. Many eye serums are created for specific customers; thus it is often difficult to find one that is suitable for your specific age and skin type. Eyevage, on the other hand, is perfect for any person older than 20 years of age – this means that the younger individuals who are suffering from dark circles around their eyes, fine lines and wrinkles, or crow’s feet, can also use this particular serum without worrying about potential adverse effects. The serum can also be used on any type of skin, be it dry, normal or oily. Eyevage is also a good product for people who cannot use any product due to sensitivity. The product is perfume and paraben free, and can even be used on skin that is prone to developing red rashes and acne. How Does Solvaderm’s Eyevage Work? To truly understand how Eyevage can benefit you and why you should choose this particular eye serum, we should take a quick look at how the eye serum works. The product has been developed by some of the top dermatologists in the United States and it focuses on all of the most important areas of aging. The formula contains numerous products that act upon different factors that contribute to aging. The serum improves micro circulation of blood vessels found underneath the eyes. Anti-inflammatory agents help to get rid of puffy eyes and soothe the skin, which may be present underneath the eyes. Hydration agents help to moisturize the skin around the eyes, leaving the skin look and feeling smooth, and reduce the visibility of aging. Solvaderm’s Eyevage has numerous benefits for the user. Let’s consider these benefits to help you decide whether this product would be suitable for you. The product utilizes a unique anti-aging formula with professional-strength ingredients. This means that the product is much more effective than the eye serums that can presently be purchased off the shelves at your local beauty supply store. Eyevage is available at an affordable price when compared to dermatological treatments. A one-month supply of the product can cost less than a visit to a dermatologist in many cases. Dermatologists developed the product; thus there is no need to worry about the potential damage that may be caused to your skin or the product being ineffective in producing the claimed results. Eyevage offers many benefits for the user’s skin, including a reduction in the visible appearance of fine lines and wrinkles. While aging skin often tends to affect the eyes considerably, as well as a lack of sleep, stress and other ailments, treatment options are available to get rid of these symptoms effectively. Solvaderm’s Eyevage is a unique, high-strength formula that poses as an effective way to reduce the visible signs of aging around the eyes, alleviate puffiness and even reduce the visibility of dark circles that may become present for numerous reasons. In this short review, we provided essential information of Eyevage to help you make an informed decision when shopping for an eye serum that will help you gain back your confidence. Tell us what do you think of the product? Have any question related to solvaderm’s then write it in comment, we will love to answer it.